More than 2 million children of migrant workers are unable to enroll in public primary or junior schools in the cities where their parents live, according to a report. The Blue Book of Migrant Children, released on Tuesday by the Beijing-based 21st Century Education Research Institute, said that only 80 percent of migrant children who qualify for nine-year compulsory education as of 2014 could attend public schools where their parents live. Others had to turn to private schools or ones set up specifically for migrant workers' children, which are usually poorly constructed and of low educational quality. The report showed that the migrant population reached 250 million in October 2015, which means more than one in six citizens work and live outside their hometown. A previous report released in 2014 by New Citizen Program, a nongovernmental organization dedicated to improving the lives of migrant children, showed that the number of migrant children has increased rapidly. In 2000, there were 19.8 million migrant children under 18 years old nationwide, while that number grew to 35.8 million in 2010. "These children's living conditions and education should receive more attention, as the country is working toward the goal of building a moderately well-off society," said Xie Shouguang, director of Social Sciences Academic Press, which published the blue book. 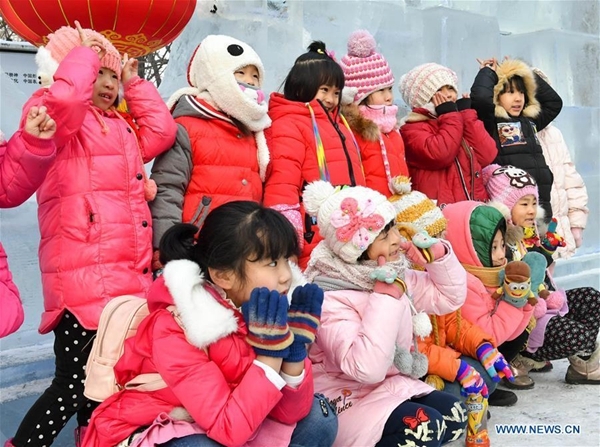 Qin Hongyu, a researcher with the 21st Century Education Research Institute, said migrant children's education has been greatly improved since 2008, as the central government and local authorities have introduced a series of policies to overcome barriers that they face. In particular, a national plan on urbanization released by the central government in March 2014 stipulated that financial support and teaching resources should be offered to enable most children of migrant workers to receive compulsory education at public schools in the cities where their parents work. "But more should be done because migrant children still face a lot of barriers when entering other education levels - preschool, high school and higher education," Qin said. Entry into higher education, for example, requires students to take the national college entrance examination. But according to current policies, as migrant children don't have permanent residence permit in the city where their parents work, they have to return to their hometown to take the exam, even though they may have been studying in the city since they were very young. Although some regions started working to solve the problem in 2012 by issuing policies to help the children take the exams without going back to their hometowns, only very few children met the requirements and were able to do it, said Xiong Bingqi, deputy director of the research institute. More than 2 million children of migrant workers are unable to enroll in public primary or junior schools in the cities where their parents live.